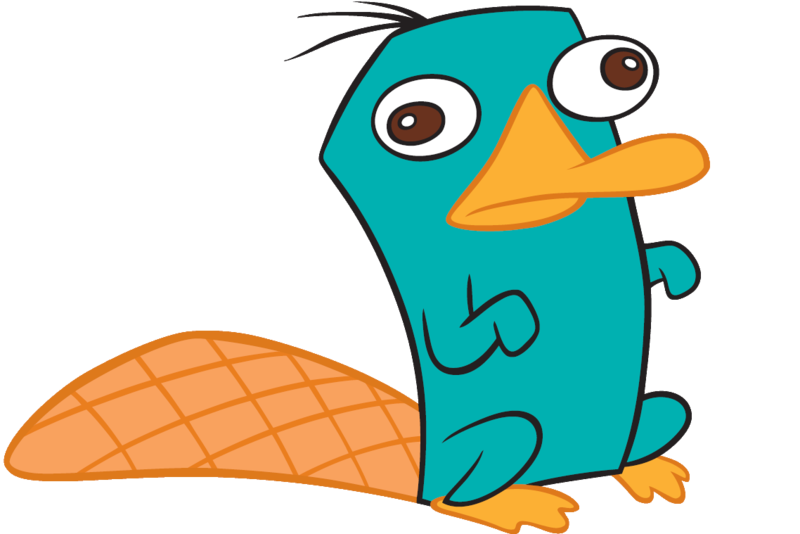 In case you don't know what a platypus is... here's a photo of it. Cute right? 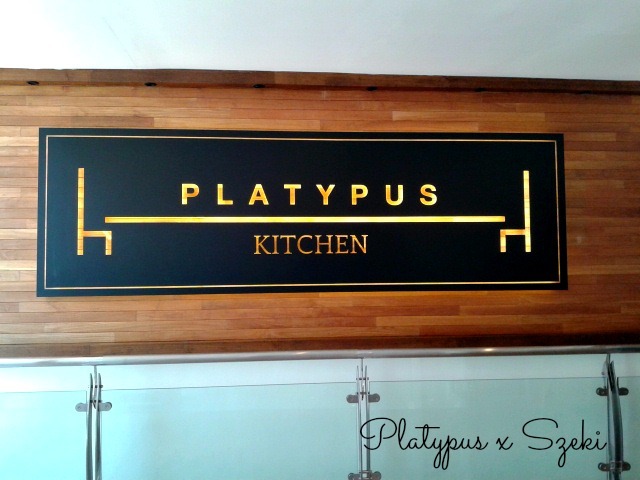 So basically this is its kitchen but don't worry, you won't find hair/platypus meat in your dishes. In case you wonder why the truffle fries looks so different from the usual one it's because it has truffle on it! Real truffle fries should serve with truffle. Btw I kinda of like this taste, the truffle oil they used isn't really strong (my personal viewpoint), I remembered eating the truffle fries with strong truffle oil smell that makes me wanna puke out all the fries. So I was kinda scared to have my first bite on this, but guess it didn't disappoint me yay. 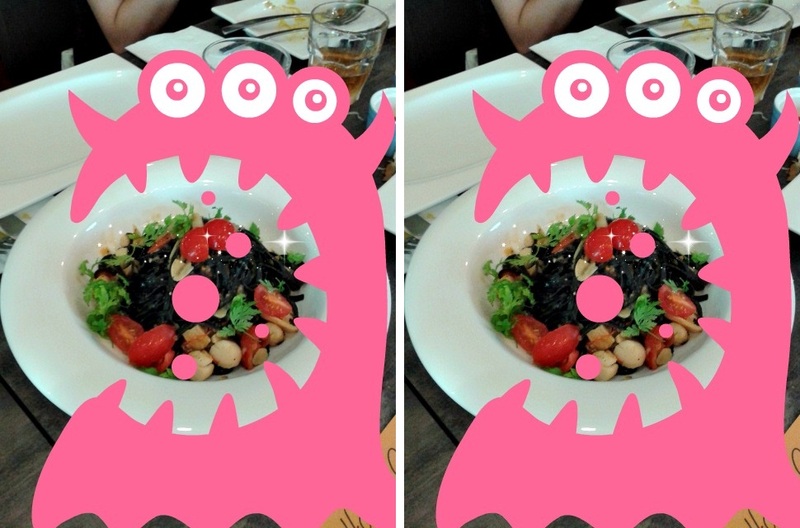 In case you're wondering what are these cute little things, they are actually crab cakes! Portion is just nice for 3 people to share. Overall it's not too bad, (I'm totally a seafood idiot lol). Don't be mistaken by the look of these and thinking that it's another dish of crab cakes. It's actually Mozzarella-stuffed balls of risotto! Yes, you heard me, MOZZARELLA *cry* with pumpkin puree, purrrrfect match. Haha and since we're all 18 years old and above (I am guessing I am the youngest already lol) we have beer. Lychee and peach flavour. Next will be green apple, lemon and passion fruit flavour, can't remember which one tasted better but I am guessing the passion fruit one? Just try both if you wanna know lol. I didn't really like the taste of beer so I am guessing that the lemon helped in covering the taste. Egg Tagliatelle with double-smoked bacon and mushrooms in a truffle egg-yolk sauce, yum yum. Egg Tagliolini with prawns and crab claw tossed in a spicy egg sauce. This tasted not bad too! Sea salt & caramel butter cream, chocolate peanut butter brittle, ganache and popping candy. No one will ever say NO to desserts because not matter how full you're from the main course, there's always room for dessert, Surprisingly your stomach can hold all the desserts in the world even though you just ate an elephant. And yay I obviously love desserts even though I am not a fan of sweets.... Guess what they got to offered? 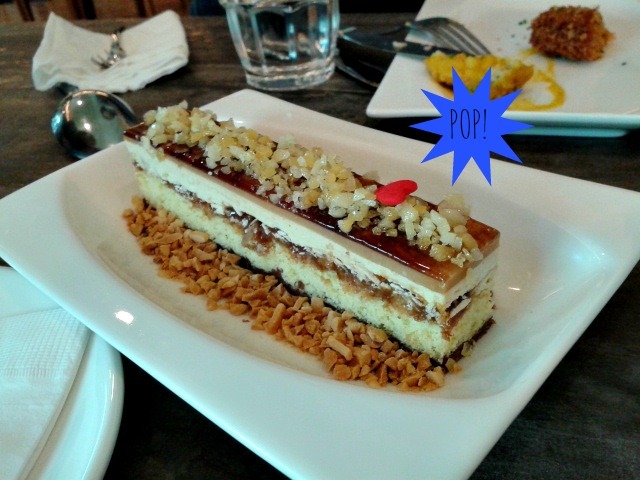 A popping iced sea salt caramel! It was funny how we tried to talk while we were eating this but everyone ended up 'popping' their words lol. And you could hear the person popping it, so don't try to steal my portion of this dessert haha. If you ever drop by bugis junction in the future, do try out this place.